At particular times in our lives we all struggle with difficulties. When these problems are not addressed effectively, they can create unwanted and difficult living conditions for us. It is in those times that we may feel stuck and need support. 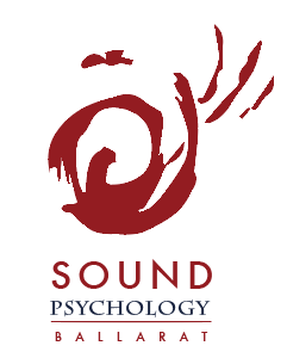 At Sound Psychology Ballarat we aim to create a safe, comfortable environment where clients can engage with their problems, integrate new information and insights and transform through the therapy. We like to encourage a sense of optimism and choice in this. We believe that every person who comes to see us needs specific, unique support that is tailored to their situation. What someone presents with is not always what needs changing: We prefer to work with both the presenting problem or crisis, and the more complex factors that affect a person's well-being. In this way, each person may be able to feel better in the short term and also address the underlying issues that affect their long term lifestyle. We don't "treat" people: We work with a person's inner strengths and weaknesses, at their pace, using and expanding on their inner resources. We work alongside people to achieve their own change.